Estrus synchronization can lead to an increased proportion of females conceiving earlier in the calving season and will wean older and larger calves at weaning. Photo courtesy of Troy Walz. Exogenous hormones and their analogues are used to manipulate the bovine estrous cycle and allow for use of estrus synchronization and artificial insemination (AI). Estrus synchronization can lead to an increased proportion of females conceiving earlier in the calving season and will wean older and larger calves at weaning (Lamb et al., 2009). For more information on product considerations or usage in estrus synchronization protocols, visit beefrepro.unl.edu. Gonadotropin releasing hormone (GnRH) is used to induce a pre-ovulatory surge of luteinizing hormone (LH) from the brain. This will result in ovulation of any dominant follicle, and a new wave of follicular growth will begin. A single injection of GnRH has been shown to induce ovulation in most cows (Kesler and Constantaras, 2004). Frequently, GnRH is utilized in conjunction with prostaglandin F2α and/or a controlled internal drug release (CIDR) insert in the Select Synch and 7-day CO-Synch + CIDR estrus synchronization protocols (see 2018 Estrus Synchronization Protocols for Heifers and Cows from the Beef Reproduction Task Force). Several GnRH products are available for purchase and exhibit similar efficacies. Decreased dosage has resulted in decreased pregnancy rates in cows (Kesler and Constantaras, 2004). See Table 1. * Only approved by FDA for the treatment of cystic ovaries in dairy cattle. Prostaglandin F2α (PG) is normally produced by the uterus to cause luteolysis of the corpus luteum (CL) and initiate a new estrous cycle. When females are on d 6-16 of the estrous cycle, a functional CL is present and injection with PG will cause premature regression of the CL. The cow will then return to estrus (Patterson et al., 2004). An injection of PG is required as part of many estrus synchronization protocols for both heifers and cows (see 2018 Estrus Synchronization Protocols for Heifers and Cows). Numerous PG products exist, many of which were developed to bypass initial patents, or reduce adverse side effects. Although type and/or concentration of active ingredients differ among products, each PG product will induce luteolysis of the CL. At this time, efficacy of different PG products is determined to be similar (Lansford et al., 2018; Lauderdale, 2006). See Table 2. * Approved for use as an intramuscular (i.m.) or subcutaneous (s.c.) injection in beef and dairy cattle. Kesler, D. J., and M. Constantaras. 2004. Estrus Synchronization Systems: GnRH. In: Applied Reproductive Strategies in Beef Cattle, North Platte, Neb. p 41-51. Lamb, G. C., C. R. Dahlen, J. E. Larson, G. Marquezine, and J. S. Stevenson. 2009. Control of the estrous cycle to improve fertility for fixed-time artificial insemination in beef cattle: A Review. J Anim Sci 88: 181-192. Lansford, A. C., T. L. Meyer, and R. N. Funston. 2018. 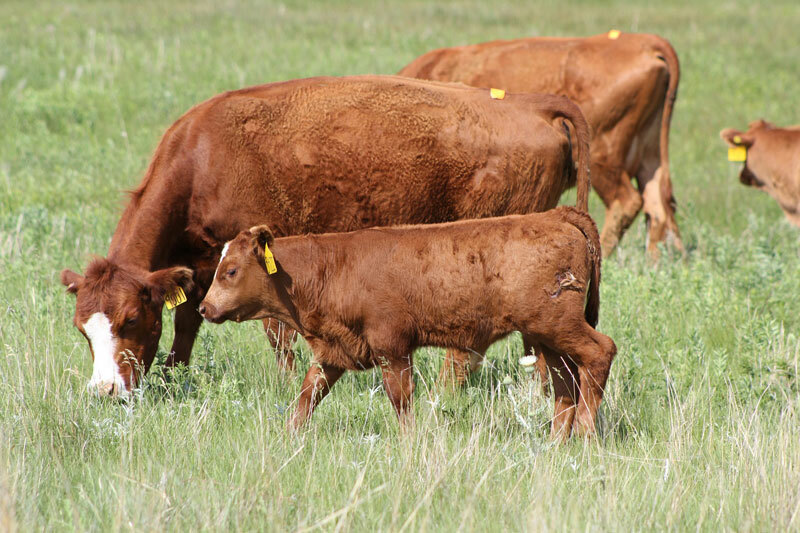 Comparison of Two Alternate Prostaglandin Products in Yearling Beef Heifers. In: Nebraska Beef Cattle Report. Rep. No. MP 105. Univ. of Nebraska, Lincoln. p. 12-14. Lauderdale, J. W. 2006. History, Efficacy, and Utilization of Prostaglandin F2 Alpha for Estrous Synchronization. In: Applied Reproductive Strategies in Beef Cattle, Rapid City, SD. p 31-44. Patterson, D. J., F. N. Kojima, J. E. Stegner, J. F. Bader, G. A. Perry, D. J. Schafer, and M. F. Smith. 2004. Review of Estrus Synchronization Systems: MGA. In: Applied Reproductive Strategies in Beef Cattle, North Platte, Neb. p 53-73.